Cancellation polices are set by the individual training provider, please visit the LTP website for the facilities policy. For Nurse Assistant Training please see the Nurse Assistant Training Catalog or contact the Administrative Coordinator for the NAT Program in your State. To train professional-level rescuers to respond to breathing and cardiac emergencies in adults, children and infants until more advanced medical personnel take over. This course has been updated to meet the 2015 ECC guidelines. 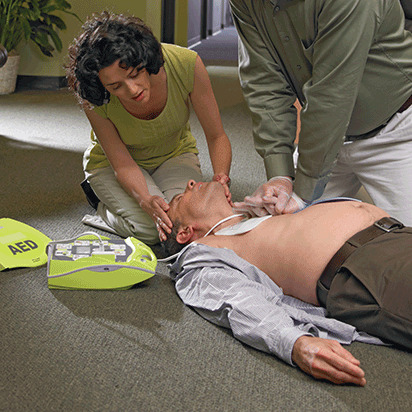 This course will prepare you to recognize and care for a variety of first aid, breathing, and cardiac emergencies involving adults, children and infants and meets OSHA/workplace requirements. This is a blended learning course including an online portion and an instructor-led classroom skill session. The online portion must be completed prior to attending the in-class portion and must be taken on a PC or tablet with a high speed Internet connection. Allow approximately 2 hours 30 minutes to complete theonline portion. Upon successful completion of this course you will receive a digital certificate for Adult and Pediatric First Aid/CPR/AED valid for two years.